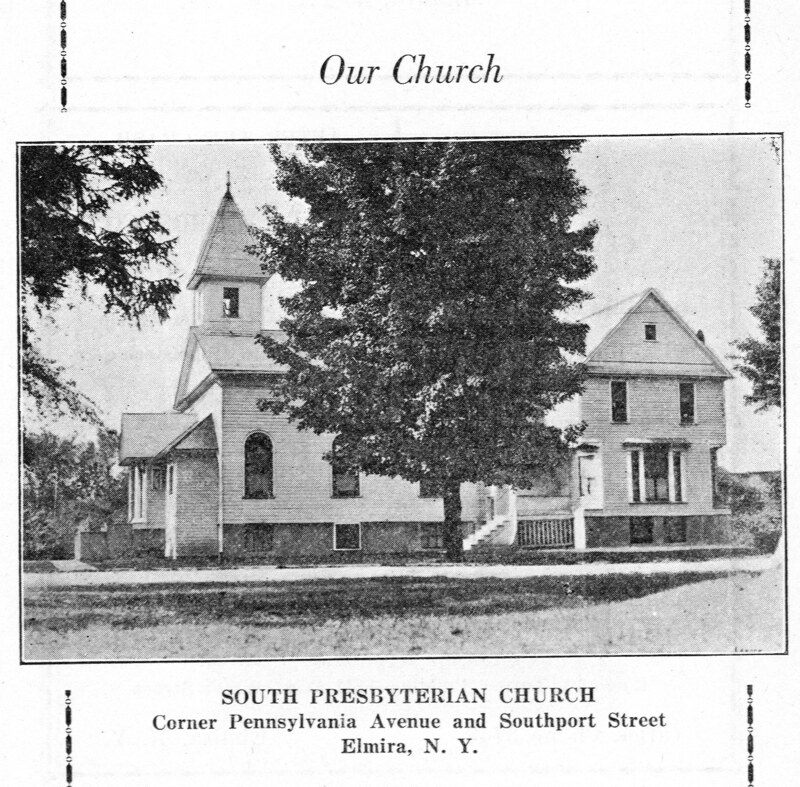 New to the Genealogy & Local History Collections @ the Steele Memorial Library: 1931 Directory of the South Presbyterian Church, and soundex microfilm! 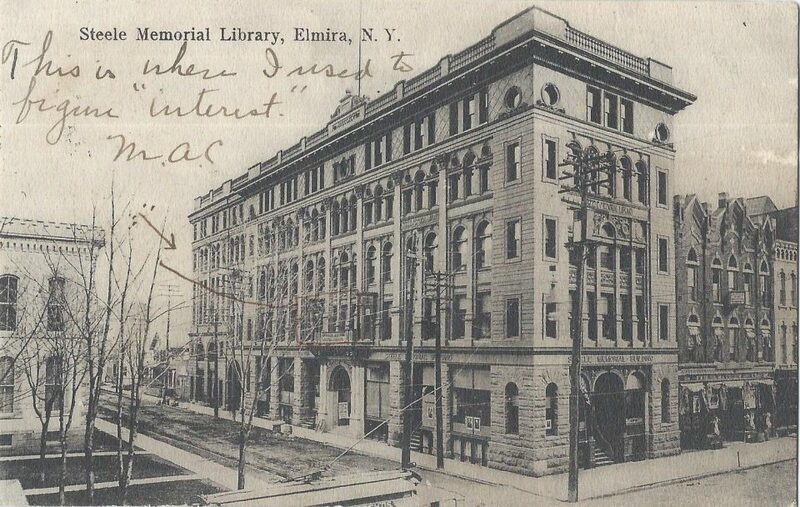 New to our collections: A member directory from 1931 of the South Presbyterian Church in Elmira on the corner of Pennsylvania Ave and Southport Streets. In 1931, they were already over 100 years old. Today, the church is gone. It burned down in 2004. (Here’s the story: http://www.joycetice.com/church/2004fire.htm). Below please find a picture of the church in 1931 from the directory, and a Google earth shot of the same lot today. Also new at the library, and of interest to genealogical researchers: We now have Soundex index cards available on microfilm. This groups phonetically similar surnames together. This is useful in case your family’s surname was misspelled in the census or the census index. Sometimes, it is the only way to find a family in the census. Feel free to come in and look at them yourselves!